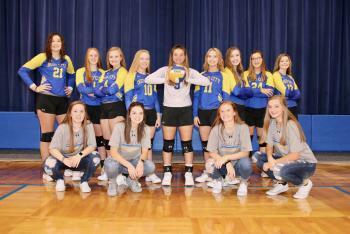 Lindsay -- Monday night's regional quarterfinals match played at Lindsay High School was a clash between the District 12-A champion Dodd City Lady Hornets and Bryson, the top team out of District 10-A. 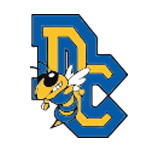 Dodd City won the first set, 25-21, however Bryson came back to win the next three sets, 25-23, 25-11 and 25-23, to take the match. Sophomore Journie Hilliard led Dodd City with 20 kills and five blocks, while senior Sarah Brent slammed down 15 kills. Cassandra Woodlee put down a pair of kills led the Lady Hornets at the service line with four aces. Tori Dotson also had a kill. Delaney Pilliod dished out 24 assists. Camryn Hubbard came up with two digs, with Paizley Vaught and Kylee Graves each getting under one dig. Bryson will advance to the Region II-1A semifinals to be played at Midlothian High School on Saturday, November 9.